A taste of the entirely tasteless national dish of Brunei! How many of you know about ambuyat? 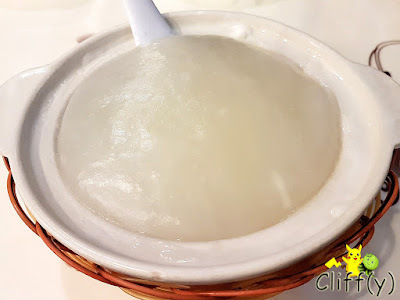 While I've heard about the dish since young, it was only last month that I finally got to try that blob of flavourless starch made from the interior trunk of sago palms. Aminah Arif Restaurant is said to be one of the best places to sample this particular local delicacy. The so-called ordinary set menu for two is very affordable, allowing you to choose one meat dish (although the other one wasn't available that day), one fish dish and one vegetable dish. Let's take a look at each of the dishes presented on the table. Despite the fact that it was totally bland, I found the carbohydrate to be delightfully chewy. It was a delight to dip it into the chili shown below. As mentioned many times, I'm not a fan of durian, but my BFF and I decided on the chili mixed with tempoyak (lit. fermented durian), which turned out to be more fragrant than I'd thought. Overall, it wasn't too spicy. 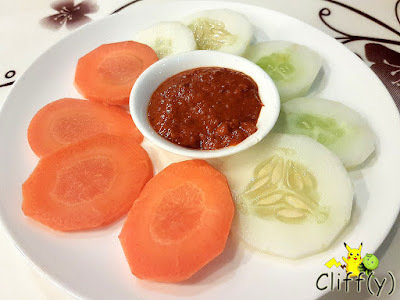 The sliced cucumbers were juicy, while their carrot counterparts were very sweet. 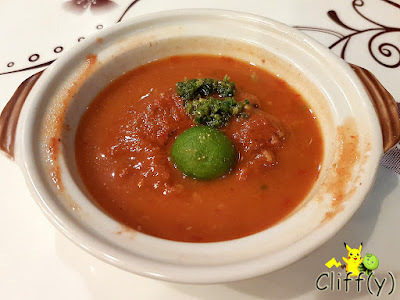 They went well with the local shrimp paste chili that was spicier than the cacah campur. 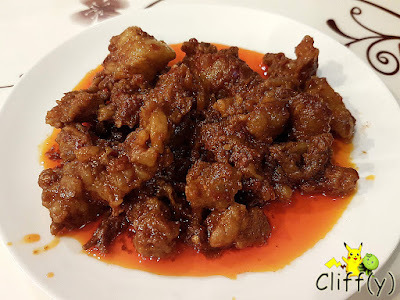 Despite the fiery colours, the dish of chili beef tendon slices wasn't that spicy. I enjoyed the blend of spices used in the cooking, even though the dish was a tad too oily for my liking. We know the word ikan (lit. fish), but without knowing what ampap means, we gambled in hope for a tasty dish. 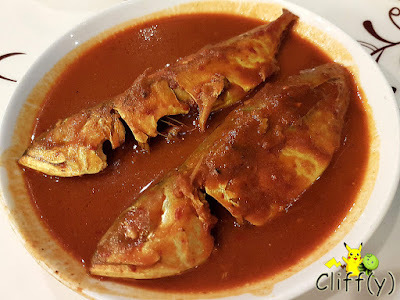 We were pleasantly surprised by the sour fish stew, thanks to the freshness of the fish and the refreshing gravy. 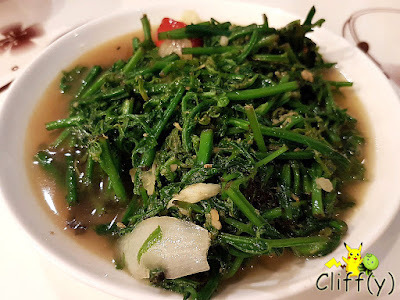 It'd been quite some time since I last ate fern shoots, so I seized the opportunity that evening as I like the slightly slippery interior and crunchy exterior. The one served that evening was stir-fried well with an adequate amount of garlic and onions. That was a fulfilling dinner indeed. Too bad the restaurant doesn't offer any dessert items. 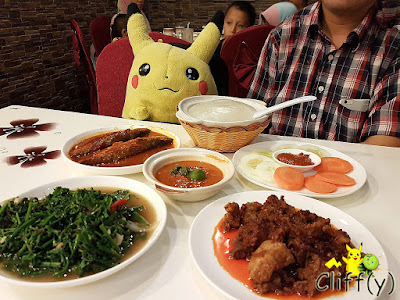 Pika's advice: For more meat choices, you may want to consider the Ambuyat Special Set (2 pax), which is slightly more expensive at B$22.00 (=S$22.00).